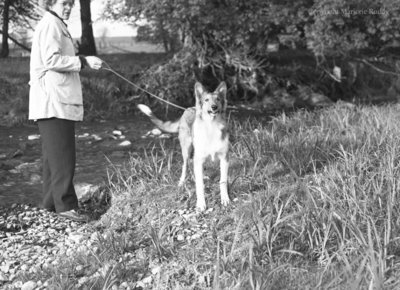 A black and white large format negative of Heather Thorah and her dog standing by a creek. Heather Thorah and Dog, May 23, 1950, Marjorie Ruddy. Whitby Archives A2013_040_311.